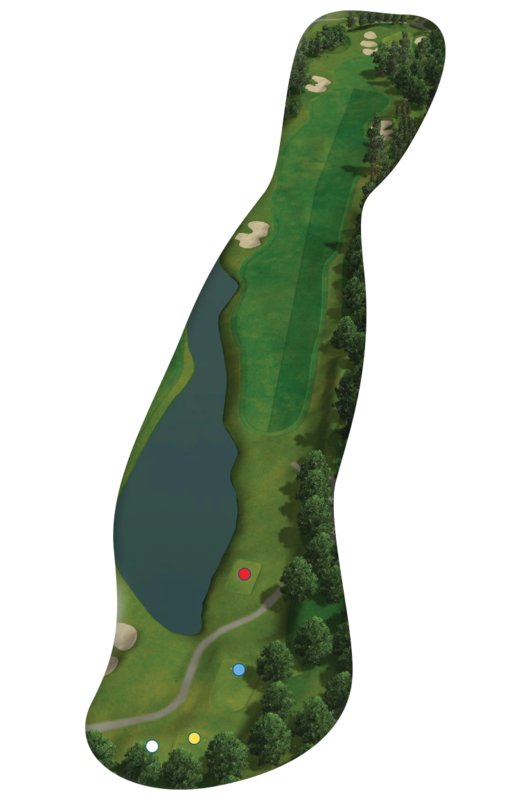 The last par 5 of the day and once the drive has success fully hit the fairway the 16th is a good birdie chance. It is best to keep the second shot left, this avoids a tree that blocks out the green from the right side. This green has three levels three bunkers and a St Andrews like ‘Valley of Sin’ in front just to keep things interesting.